DANA POINT — Returning for its 41st year, the Dana Point Festival of Whales is expected to attract more than 100,000 visitors to celebrate the peak days of whale-watching season in a community that calls itself “the Whale Capital of the World.” Festival events are scheduled over two weekends: March 3-4 and 10-11. According to festival organizers, 40 to 50 whales pass by Dana Point every day this time of year during their annual migration north, including California gray whales, humpbacks and orcas. Boaters will be cruising offshore to see them — and so will passengers aboard charter whale-watching cruises. 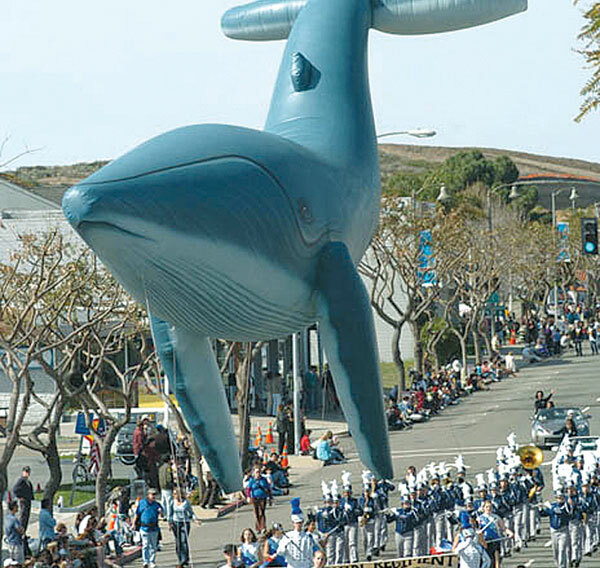 This year’s Festival of the Whales kickoff event is the Magic Migration Parade, set to begin at 10 a.m. March 3. Other festival activities will include the Whale of a Block Party (10 a.m.-5 p.m. March 3), the Whale of a Sand Sculpting Creation (all day March 3-4), Ocean Awareness Day (March 4), the Whale of a Pancake Breakfast (8-11 a.m. March 4) and the Whale of a Rubber Ducky Race (11 a.m.-2 p.m. March 4). Throughout the festival, event-goers can also enjoy musical entertainment, art shows, barbecues, classic car exhibits, lectures and seminars at multiple venues (including the Ocean Institute) and historic walking tours — and there will be paddling events and demonstrations of kayaks, sailboats and stand-up paddleboards. For details, visit festivalofwhales.org or call the festival information line at (888) 440-4309.